Physics Question 2017 Sylhet Board. The physics is one of the oldest academic disciplines, perhaps the oldest through the inclusion of astronomy. In the last two millennia, physics was a part of natural philosophy, chemistry, certain branches of mathematics and biology, but during the scientific revolution in the 17th century, the natural sciences emerged as unique in its own right research programs. Physics intersects with many interdisciplinary areas of research, such as Biophysics and quantum chemistry, and physics limits are not rigidly defined. New ideas in physics often explain the fundamentals of other sciences mechanisms, to open new avenues of research in areas such as mathematics and philosophy. Astronomy is the oldest of the natural sciences. The earliest civilizations dating back to beyond 3000 BCE, such as the Sumerians, Ancient Egyptians, and the Indus Valley Civilization, all had a predictive knowledge and a basic understanding of the motions of the Sun, Moon, and stars. The stars and planets were often a target of worship, believed to represent their gods. While the explanations for these phenomena were often unscientific and lacking in evidence, these early observations laid the foundation for later astronomy. teachingbd24.com is such a website where you will get all kinds of necessary information regarding educational notes, suggestions and question patterns of schools, colleges, and madrasas. Particularly, you will get here special notes of physics that will be immensely useful to both students and teachers. The builder of the website is Mr. Md. 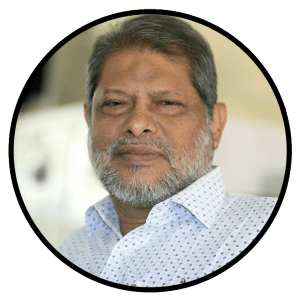 Shah Jamal who has been serving for 32 years as an Assistant Professor of Physics at BAF Shaheen College Sylhet. He expects that this website will meet up all the needs of Bengali version learners /students. He has requested concerned students and teachers to spread this website home and abroad.